The International League announced today that the circuit's all-time home run king Mike Hessman and Columbus President and General Manager Ken Schnacke, who is in his 42nd season with the Clippers, will be inducted into the League's Hall of Fame as members of the Class of 2018. The two men were elected to the IL Hall by a vote of living Hall of Famers, longtime executives, broadcasters, and members of the media. The members of the Class of 2018 have been added to the International League Hall of Fame plaque display. Both inductees will be presented with "The Curtain Call" statue during individual enshrinement ceremonies yet to be scheduled. The IL Hall of Fame plaque display serves as a traveling testament to the storied legacy of the International League. In twelve seasons between 2002 and 2015 as one of the IL's top sluggers, including seven with the Toledo Mud Hens, Mike Hessman crushed 288 home runs to become the League's all-time leader. While also suiting up for Richmond, Buffalo, and Louisville, it was during his time in Toledo that he captured an IL Most Valuable Player Award, two Governors' Cup titles, and made three appearances on the IL Postseason All-Star Team. In 2014 he surpassed IL Hall of Famer Ollie Carnegie by hitting his League record 259th round tripper, and a year later he eclipsed IL Hall of Famer Buzz Arlett with a grand slam that gave him a Minor League Baseball record of 433 lifetime home runs. Also a top-level defensive player at third base and model teammate, Hessman has remained in the Tigers organization as a coach since his retirement following the 2015 season. In 2018 he will be the hitting coach for Detroit's Eastern League affiliate in Erie, Pennsylvania. With over four decades of exemplary service to the Clippers, the International League, and the Minor League Baseball industry, Columbus President and General Manager Ken Schnacke has been elected as a member of the IL Hall of Fame Class of 2018. The current Chairman of the Minor League Baseball Board of Trustees and the National Association Licensing Committee oversees one of the game's model franchises. He joined the Clippers as an adminstrative assistant in 1977, and following roles as the club's Director of Operations and Assistant G.M., he was named General Manager in October of 1989. He added President to his title in 2001. The Clippers have led the League in attendance six times during Schnacke's run, collecting a pair of Triple-A Bob Freitas Awards for longstanding excellence of operations, three Larry MacPhail promotional trophies, and the prestigious John H. Johnson President's Award recognizing the complete baseball franchise. In addition Ken has claimed a pair of IL Executive of the Year Awards. The IL Hall of Fame, established in 1947, was dormant from 1964 until the League's 125th Anniversary season in 2008. Following a three-year transition period (2008-10) in which a total of 50 individuals were inducted after having been selected by a committee, the Class of 2018 was the eighth chosen by the current annual election process. Each year the top three vote-getters who also receive a vote on the majority of ballots cast are elected. In the three most recent elections, only two candidates received the necessary votes, resulting in a reduced size Class in 2016, 2017, and 2018. 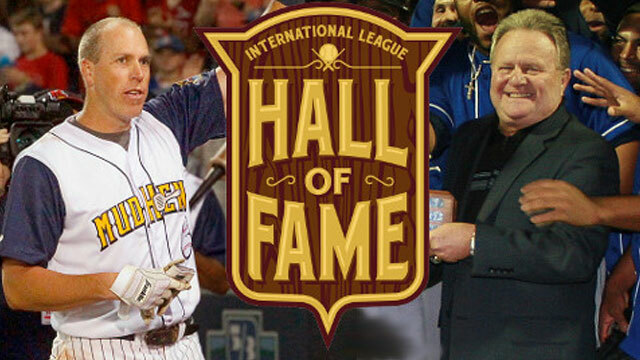 Complete statistical data and biographical information on all 122 members of the IL Hall of Fame, along with a copy of the International League Hall of Fame policies, procedures, and guidelines are available at ILBaseball.com.